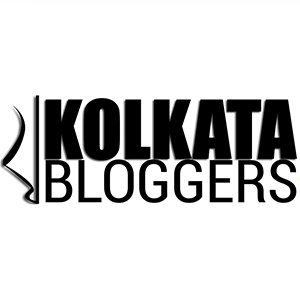 January 1, 2019 January 1, 2019 Categories Product Review, Recipebaking, best cake recipe, cake recipe, captain morgan, captain morgan india, captain morgan rum, diageo india, foodiedada, foodiedada recipe, kolkata blogger, new year cake kolkata, new year wishes, plum cake, Recipe, recipe blogger, rum, rum cake, rum cake recipe, rum soaked2 Comments on Rum Cake recipe – in association with Captain Morgan! So this is my first blog post of this year and yes, it had to be written on the first day of this year! Basically, it originated during the New Year’s Eve, mostly because I like staying back at home with my family cooking or baking, while most of my friends are partying out there! This year I had a better alibi, all thanks to Captain Morgan!! A couple of days ago a surprise package came to my address from their end, a rather huge and heavy parcel it was. When you come back home from work very late, and discover a parcel from the Captain! Opened the parcel to find these! Generally, I don’t share baking recipes, my better half bakes amazing cakes (hope she is reading this!!) and me being the worse half I finish them off in no time! Thus giving her reasons and inspiration to bake more! So even when we are baking, we really get little time to click. But this time, we decided we should take pictures before finishing off the cake! Basically, this recipe which I will share was already provided by Captain Morgan. I just love this 1944 born bad boy from Jamaica!! Here I will share the recipe as it is, but also mention the modifications and adjustments which we did while baking. And our end product was simply fabulous; it was soft, fluffy and tasted heavenly! I realized that I bake or cook well especially when I am sipping on some rum with coke!! Firstly, we have to take care of the dried fruits. Add ½ cup of mixed dried fruit (such as raisins, candied peels, dried cranberries, and dried cherries) to a saucepan, add 180 ml of Captain Morgan Rum. Make sure the dried fruits are submerged in the rum. Bring the contents of the saucepan up to a boil over medium heat. Turn off the flame once it starts boiling. Cover the saucepan and set it aside allowing the dried fruits to soak the rum overnight. Now we come to Day 2, and we will bake our cake today. So, preheat the oven to 180 degrees Celsius for 15 mins. Grease and line your cake tin (or container) with baking powder. Whisk together the flour, baking soda, sugar, cinnamon, (a pinch of) salt, using a whisk. In another bowl, whisk together the ginger, bananas, oil, and vanilla vigorously till it turns thick. Now pour the wet ingredients into the dry ingredients, using a spatula fold lightly, a few times. You must take care to not mix the batter too much. Spoon large mounds of batter into the cake tin or container, then alternate with a layer of soaked (overnight) dried fruits. Repeat till you have used up both dried fruits and the batter. Transfer this to your oven and bake for 50 minutes or until a skewer inserted into the center of the cake at an angle comes out clean. Let the cake cool down in the tin for 15 minutes before turning it out. Let it sit and cool down completely before serving. You can also dust the top of Captain Morgan rum buckle with icing sugar and serve. So, while baking we changed things a bit here and there to suit our palate and preferences. We made this cake with eggs as we prefer that over eggless cakes. So, we skipped the banana and added 3 whisked eggs instead. Also since I am not a very big fan of strong flavors in my cake, I skipped adding cinnamon powder and ginger in the mix. Anyway, the apple sauce will give a very balanced and yummy taste. And yes, since we have completely cut down the use of sugar at home, we have used a cup full of jaggery powder instead of sugar. In fact, jaggery powder gives a better and richer taste when compared to sugar, and it is way healthier. And lastly, if you want to use less Rum, then you can add some grape juice as well to soak your dried fruits overnight. And here’s the rich end product – Rum Cake! The cake that we baked tasted so damn good! And the rum-soaked dried fruits, especially the raisins were so plumped up causing an explosion of glory in every bite! Rest the cake well before you slice it up, that will make sure you get the best taste and texture. You can also try this at your home and apply the modifications I have mentioned above, hope you will like the end product! As I bite into this yummy cake, here’s wishing you and your loved ones a very happy and delicious New Year, filled with good food, travel, and memories!! Disclaimer: The cake was baked with ingredients including the rum, provided by Captain Morgan India (Diageo) in association with Ankiet Gulabani (Belly over Mind)! Previous Post ‘Pan Asian Delight’ at Sonnet brings you closer to South East Asian delicacies! Next Post Vedic Therapy – a weekend staycation at Vedic Village! Oh as I was scrolling through the images I realised I saw this on Ankiet’s insta feed a few days back. I didn’t knew it was you. This looks super moist, boozy and just what a New Year cake should be like. Wishing you a very happy new year, hope you had a good one Debajyoti.